in a way that deepens a specific set of competencies or understandings, then the first question needs to be what general and essential skills and understandings do we want students to gain. One glance at the Alberta Education Phys Ed Curriculum was enough to make it clear that the refinement of an overhand serve in volleyball is neither a key competency, nor a specified curricular outcome. In fact, there are no sport-specific outcomes to be found anywhere in the entire document because physical education in Alberta is not intended to develop nationally-ranked athletes but rather to provide students with the necessary skills (both physical and social/emotional), understanding, and intrinsic motivation to remain active and healthy for the rest of their lives. In June of last year I sat down with a copy of the curriculum to read through it and to attempt to make it understandable for our 600 students from Grades 4 - 9. What resulted, was a significantly condensed 4-page document (included below) that we printed and posted on the wall inside and just outside the gymnasium at the school. With this vision for PE visible, we began this school year by inviting students to engage in a conversation about the purpose of physical education, the definition of and importance of physical literacy rather than sport specific development. As part of the conversation, we were also able to connect the curriculum to student observations on the differences between youth and adult engagement in physical activity and to Canada Sport for Life research and the Long-term Athlete Development Model. Skill Acquisition: Consisting of the types of skills that are transferable from individual to team sports and throughout a range of environments. Insists that students take on the challenge of acquiring skills outside of their range of experience or expertise. Understanding Health Benefits: Essentially - an introduction to exercise physiology. Developing the requisite knowledge and skills that allow us to make decisions about how to analyze, evaluate and develop strategies, ideas or approaches to optimizing health through physical activity. Interacting with Others: How to be a part of a team; to lead, to follow, to assess your strengths and those of others' around you and develop the skills necessary to engage collaboratively in working towards a goal. Assume Responsibility: Basically, inquire into intrinsic motivation and personal responsibility. We concluded that in physical education, the real work might be the work of an athlete in training - but the real work might also be the work of a personal trainer, a nutritionist, a coach, a team member or an average adult with a busy schedule struggling to balance their daily demands with maintaining physical fitness. With this in mind, we designed a much broader and more permissive introductory unit in physical education. The vision was that the unit would provide students with an opportunity to personalize an inquiry into the training of a particular aspect of physical fitness while gaining an understanding of principals of effective training and assessment over a 3-week period. Students were limited to the development of one component of fitness - assessment was carefully guided with the younger grades while older students had the option of determining how best to test what they were training, provided it was consistent from week to week. Students had access to a range of equipment and both teachers were actively involved in providing feedback and suggestions for training as well as modelling various activities throughout the duration of the inquiry. In general, we found that while the unit required more of students on a daily basis (research, planning, reflection) an overwhelming number invested wholeheartedly in their program design noting that they found particular value in being provided with opportunity for adding their own voice to the structure and assessment of their program. We managed to capture elements of the process through video and have included a general overview below. We would definitely welcome further thoughts or questions in order to continue to engage in conversations about the possibilities or limitations of inquiry-based practice in physical education. More than anything I am grateful to inquiry-based pedagogy for the opportunity to be conscious and careful about how I design learning experiences for students. 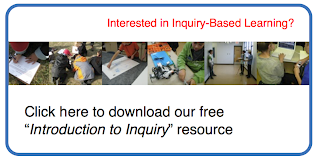 I like the work you are doing with inquiry in PE. It is important to look at the whole child and design learning experiences that engage the student in all areas, not just skill acquisition. I have been teaching PE internationally for the past 15 years and am a huge believer in the power that inquiry play. I present on inquiry, making learning visible in PE, and varied ways to deliver assessment at different workshops in Asia region. It is a true passion of mine. You may want to check out peplc.net as it is a PD initiative for PE teachers. We are collaborating together using Google Hangout. Your work would fit in well here. Let me know if you are interested. I really like what you are doing. You have a great approach. Whenever I come back to your site, I am always impressed by how you are continuously updating and re-working. We are nearly 2 months into operation in the brand new Pacific School of Innovation and Inquiry. We are at high school level. We too are trying to re-word mandated curriculum. It is a very tricky balancing act. Thank you for the inspiration. I will continue to check out what you are up to. Hi Andy! I finally got a chance to have a look your peplc.net site. Looks fantastic! I am definitely interested in connecting/collaborating further. Assessment is another huge area of focus for us this year and would love an opportunity to touch base. Added you on Google+, looking forward to chatting! Thanks so much for the feedback Jake! Your school looks incredible! Have favourited your site and am keen to follow what you've been up to. Thanks for connecting! Deirdre; I appreciate the framework you have created for helping your students develop a deeper understanding of the curricular outcomes and competencies associated with active and healthy living. Through your blog you have provided your physical education teaching colleagues with ideas and resources they can use to engage their students through inquiry. It is great to see the dialogue you have generated from a worldwide network of teaching colleagues who share your passion for actively and meaningfully engaging students in developing through inquiry, competencies for active, healthy living. Hi Dierdre: My visit to CSS last June has motivated me to begin working with more inquiry in all my classes, but I'm still struggling a little at beginning to work with inquiry in PE. Your blog here has ideas and suggestions that I will pursue as I move forward in the process. I think the BC and Alberta curriculums are similar so I am appreciative of the resources/rubrics you've included as starting points for us here. Thanks in advance! Thanks SO much for this inspiring blog entry. I wish you had been my PE teacher when I was in school. I was devastated by PE experiences, over and over from early years on. You make me feel hopeful. I'll be sending lots of folks over here to read your thoughtful and important piece. Thank you so much Dr. McKinnon. I genuinely appreciate your comments and continued support at CSS! I so sincerely appreciate your feedback! It has certainly been incredible to get a chance to develop the program I'd dreamed of as a student. Your transformative graduate classes have in no small way contributed to the vision and redesign. Thanks a million! Loving this:) Working on a similar model at Glendale Sciences and Technology School in Red Deer. Thanks for the inspiration!